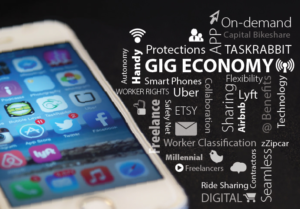 The gig economy is taking the world by storm. According to consultancy, there are more than 2 million freelancers in the UK and another 3 million self-employed workers. In the US, the figures are even more astounding: from 2014 to 2017, the number of freelancers increased by 8.1 percent! More freelancers means more independent workers, who are both looking for work and actively promoting their business. The subtle changes to the workforce can greatly affect the popularity of a job board. So, how can job sites adapt to the gig economy? We’re glad you asked. Up until now, you’ve been focused on the job search, the candidate experience or the recruitment packages. Now, you have to deal with a whole new type of user: the freelancer. The freelancer isn’t looking to fit into a predefined position but rather, he wants to define it himself. Even if self-branding has become an important aspect of any job search, a freelancer promotes his work differently. Company culture isn’t going to be as important to him either because he doesn’t intend on being tied down. To target freelancers, you can start with small steps. Research what it means to be a freelancers, the advantages and disadvantages, and share the knowledge on your blog. Your blog reflects the job board’s interests. Your audience should know about changes you intend to make through the site thanks to the articles written first and foremost by your team. In the past, we’ve touched on the importance of filters for a job board and how they can define the targeted candidates. If you hope to attract freelancers, then you have to adapt your filters accordingly. More than ever, the “type of contract” or “type of hours” filters need to be utilized. However, “freelance” does not mean “remote”. Clear distinctions between the two could also be helpful. Once again, adding more filters can help recruiters and freelancers better define their search and avoid any confusion. Speaking of recruiters, it’s important to know beforehand if they want freelancers or other jobseekers. When a recruiter fills out the job description, suggest selecting the type of jobseeker they wish to hire. Depending on the selection, promote different filters. According to Forbes, the top ten freelance gigs include writing, administrational support and IT. All ten of them should appear in your filters (you can even consider subcategories) and be highlighted if the recruiter wants a freelancer. Recruiter and jobseeker accounts often have different features. Classifieds job boards, like GumTree, might let jobseekers and recruiters access the same options, but most generalist or niche job boards don’t. That’s why classifieds job boards have been a popular choice for self-employed people for years (for tutoring, babysitting, cleaning and repairs, for example). Other than removing some required fields and adding others, one simple idea is to let user add their social media and website links. To promote their work and themselves, freelancers are more likely to have a trace of their previous projects somewhere on the internet. If they can showcase it on your job board, they’ll see more appeal in creating an account. You’re only just discovering the world of freelance job boards, so there’s no shame is looking to the pros for some ideas. One thing that many freelance job boards have in common is an (almost) compulsory sign up. On many sites, like Flexjobs and UpWork, attention is deflected away from the search engine and focused on website branding. It’s important to explain what you do. Before users can actually access the job offers, the job board encourages them to create an account. 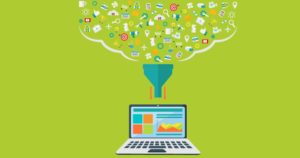 When your focus is on people as much as it is on companies for business, your database of users is going to be a huge asset. So emphasize statistics, key figures and testimonials! Even if you aren’t trying to adapt to the gig economy, the world is becoming more and more mobile. The trend is not about to stop so job boards need to make their websites mobile-friendly. There are all types of freelancers and all types of jobseekers. Studies have already confirmed that more and more jobseekers are using their phones to apply to job offers and that’s true for freelancers too. Whether it be Uber drivers or IT professionals, the convenience of the mobile will continue to alter how people look for work and feature their brand. Freelancers are affected by both those movements and will turn to apps more than ever when looking for gigs. Even if you don’t have the money to invest in a costly app, you can provide a mobile-friendly version of your site. Whether this is a new or old feature of your site, you should inform your users. Include the information somewhere on the homepage or write a blog article about the adaptability. Communication is the key to all good business. In addition to changing the back office, the homepage design also needs an update. The same way new jobs and top jobs can be promoted on the homepage, freelancers should be able to purchase advertising slots. 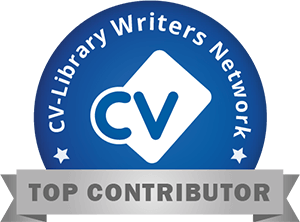 In the past, job boards like Ouest France Emploi, a French job board for the Western cities, promoted CVs as “CVs of the month”. They no longer run the program, but it’s a great a way to feature and attract freelancers. Speaking of attracting new freelancers, it can sometimes be difficult to spread the message that your job board now caters to freelancer needs. To encourage current users to promote your site, it could be interesting to introduce a rewards system. In many companies, referrals are used to find new candidates and the referees receive rewards based on the referral or on the candidate’s success during the hiring process. Freelancers (or other users) can bring in new customers with the right encouragements. This is nothing new, social media has been encouraging users to invite friends for decades and companies ask people to share links in order to win various gifts or trips. Promotional offers and rewards systems are some ideas you can include in your marketing strategy. Let it be known: if you are adapting your job board to freelancers, you need a marketing strategy. 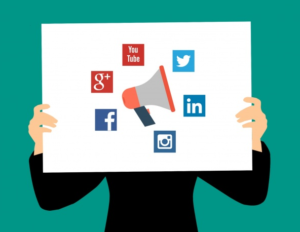 One of the essential aspects of any marketing strategy in 2019, is your social media. It’s one thing to be present on the various social networks, like Twitter, Facebook and LinkedIn, but it is quite another to have an actual strategy and to create engagement. Many job boards active on social media just post streams of job offers all day long, which can be useful for active jobseekers. However, we’re moving into a candidate short market so it’s important to attract and retain jobseekers, even when they become passive. Freelancers are in-between the two. You want them to continue to use your site for work and to belong to a kind of community. To create a community, you need to communicate and engage. Meaningful engagement means interacting with followers (and non-followers), posting interesting articles from your blog as well as reposting articles from other websites. Social media allows us to interact with all kinds of people, which is an incredible asset for job boards. Comments, likes and shares help define your values. Essentially, job boards create and build connections so they should be good at engagement! Furthermore, your social media activity shows recruiters, jobseekers and freelancers that your site has a proactive approach to connecting people. For more tips on social media engagement, Social-Hire has a number of insightful articles. There you have it, job boards! 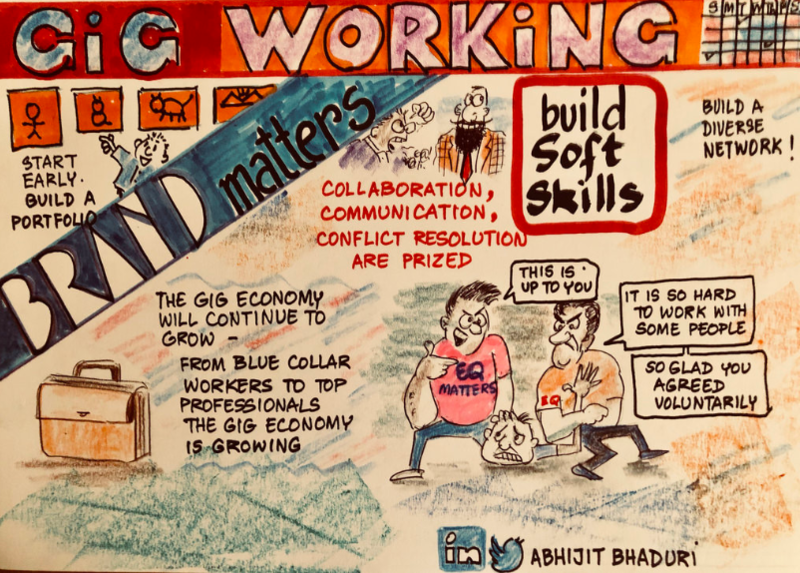 The gig economy is here to stay and freelancers are slowly moving into the job market. It’s time to adapt and attract jobseekers, recruiters and freelancers.